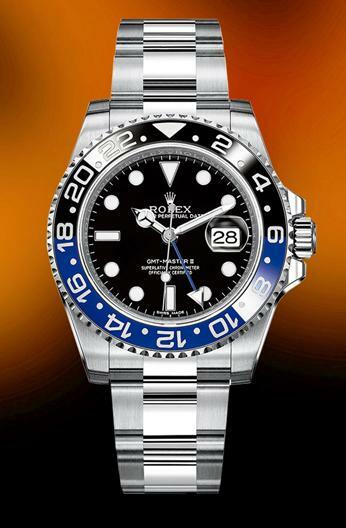 Rolex Oyster Perpetual Date GMT-Master II Watch. 40mm stainless steel case, bidirectional rotatable bezel with 24-hour engraved black and blue Cerachrom insert, blue 24 hour second time zone hand, independent 12 hour hand, black dial, and stainless steel Oyster Bracelet. Introduced at Baselworld 2013. Water resistant to 100 meters. Disclaimer © 2015 thedreamcollection.com. All rights reserved.